Kim Jong-il death: Phoenix exposes intense Chinese censorship…accidentally? The Chinese media is currently flooded with reports emphasising the grief of the North Korean people at the death of their “dear leader”. Comments are turned off on all the big five news websites except Phoenix and Sina, where the Chinese online news-reading community are purportedly also grief-stricken for the loss of North Korea’s great anti-American friend. However, an apparent technical oversight on Phoenix seems to be revealing the staggering rate at which censors are deleting comments that don’t fit with whatever instructions Beijing has issued regarding how discussion should be “guided”. On the Phoenix discussion of attached to its special coverage page “The death of Kim Jong-il”, the number of participants is listed at an incredible 15,652,462, and that figure is going up by around 150 every minute at the time of writing. It’s now up to 15,656,193. Yet this enormously popular discussion involving more than 15 million participants has somehow only produced 728 comments. Normally on Phoenix News and other websites’ discussions the ratio of participants to posts ranges from about 20:1 to 80:1 (see previous posts on this site). 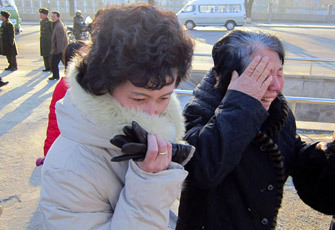 On the death of Kim Jong-il story the number of “participants” is more than 20,000:1. This suggests that the censors are deleting almost every post that is submitted on the topic, but have forgotten to also fiddle the website’s automatic counting system that registers an extra “participant” every time someone submits or recommends a comment. I guess they’ve got a lot on their plate at this time, which probably also explains why the Sohu, NetEase and Tencent portals have simply switched their comments systems off. On Sina’s topic discussion page “The death of Kim Jong-il”, pro-Kim comments are flowing in at a rate of about 1 per minute. Anti-Kim stories are nonexistent. I’m imagining perhaps a full-vetting process is in place at Sina whereby every comment is by default not published unless specifically approved. One would think the wumao (commenters paid by government agencies), to whatever extent that they exist, would be out in force given the attention that the central authorities in Beijing are giving to the story. All this grieving and well-wishing is probably not just the work of wumao, though unsurprisingly many Chinese readers are drawing that conclusion. The Chairman Mao gravatar attached to one top comment on the Phoenix story “CCP center sends condolences over death of Kim Jong-il” reminds us that plenty of genuine communists do exist in China – it’s just that they’re not very well represented at the top of the Chinese Communist Party. The most likely explanation would be that Phoenix’s censors have decided to leave the two critical comments there in an attempt to disprove the very allegations that they are making, and possibly also give an air of diversity to a very austere discussion without violating the apparent instruction from Beijing that Kim Jong-il is not to be criticized on mainstream news discussions. But couldn’t one also speculate that the Phoenix editors may, just maybe, have taken the liberty of allowing this couple of comments through to tell readers we’re on your side really? Could the continued existence of the very obvious but as yet un-revised figure of 15,656,193, wait, 15,660,394, be another subtle sign that the censors aren’t entirely supportive of the job they have to do? A South Korean coastguard officer died on Monday after the crew of a Chinese trawler tried to resist detention for illegal fishing activities in the Yellow Sea, 87km from Korea. At least two Korean coastguard personnel were stabbed with pieces of glass after they tried to board the Chinese boat. The incident has been the #1 headline on the popular Sina and NetEase news portals since at least yesterday evening, with both offering special saturation-coverage pages (here and here). This level of attention from commercialized internet news portals can be explained by the dramatic news value of this kind of an international incident. Intriguingly, however, its continued prominence on the front pages into a second day is in sharp contrast to China’s newspapers. Scanning the front pages of 100+ newspapers on Abbao.cn, i found only two with any sign of this story – the Wuxi-based Jiangnan Evening News, which led with the headline “Fishing tragedy” . . . and yep, the other one was the Global Times, who ran with “Korean media in frenzy: ‘Chinese fisherman kills coastguard officer’ “. I chose the word “frenzy” there because that’s the word the Western media generally use, but the actual Chinese term the GT used is baochao 爆炒, which means “explosively stir-fry”, implying an explosion of sensationalism. Those guys really have absolutely no sense of irony. In China, several political bodies are in charge of Internet content control. At the highest level, there is the Central Propaganda Department, which ensures that media and cultural content follows the official line as mandated by the CCP. Then there is the State Council Information Office (SCIO), which has established an “Internet Affairs Bureau” to oversee all Websites that publish news, including the official sites of news organizations as well as independent sites that post news content. This “Internet Affairs Bureau,” sends out very specific instructions to all large news websites daily, and often multiple times per day. Those instructions do not always mean that related contents are completely banned online, but they instruct websites to highlight or suppress certain type of opinions or information in a very detailed manner. Could these online news media portals be able to circumvent instructions from the Central Propaganda Department that print media must abide by? Or is the State Council’s Information Office (SCIO) encouraging the heavy coverage of the South Korean Coastguard stabbing via some instruction to “each website” (ge wangzhan 各网站) to place it in the “most eye-catching” (zui xingmu 最醒目) position on the home page? If there were different instructions from these different censorship agencies, why would that be? Grasping at straws, the story could perhaps be seen to be discouraging Chinese citizens from getting active in foreign policy matters. Could it be part of a relatively doveish State Council plan to fighting back against foreign policy hawks in the security and control apparatus who would promote nationalist citizen-activism? It’s a stretch. The interpretation of the incident by these hundreds of thousands of news article readers is overwhelmingly that the Chinese government is somehow responsible for the actions of the fisherman. It is very hard to imagine how this kind of discussion could be beneficial to any one side in the major foreign policy debates in Beijing, which seems to suggest that the saturation coverage of the story online, and the discussion it has spawned, is the result of the news portal sites’ commercial imperatives, rather than any kind of order from central agencies. At the same time, this once again flies in the face of those who argue that anything more than a tiny minority of discussions on the Chinese internet are somehow guided or interfered with by the state. A good of this tendency is a short article by Yun Sun for Brookings, which argues that “most discussion on the internet in China is carefully screened, and much of it is pre-approved, by the government”. I simply cannot see how this kind of discussion is good for the government-as-a-whole’s position either at home or abroad. Sun’s article is right to remind us to be careful about attributing Chinese foreign policies Chinese public opinion. But Sun unnecessarily overreaches by trying to discount the existence of public opinion online. A piece on ChinaGeeks made this point well in relation to Sina Weibo a few months back, and even mainstream news portal comment threads that are seen by millions of people – the kind of near-simultaneous mass medium one would imagine the authorities could and would censor – are often relatively free spaces. As the posts on this site illustrate, this is the case for hardline nationalist views, but it is also true for liberals. Chinese public opinion exists, at least among the now 500 million-plus internet users, more than 3/4 of whom use the internet to read the news. The impact of the CCP’s famous internet censorship regime seems, to me, to be both overstated and overrated. Update 1: Reports on Tuesday about the Korean protest rallies outside the Chinese embassy in Seoul have sparked a huge discussion. The most popular three comments, expressing outrage at the protests and talk of boycotting Chinese products, accounted for around 90,000 of the 189,000 comment participants. A further 30,000 supported two comments arguing China should apologize, while 10,000 got behind the view that the only solution was for China to become world hegemon. 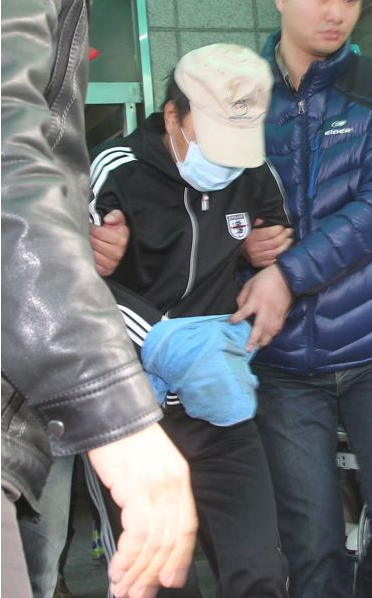 Update 2: The fishing boat captain has gone on trial for murder in Korea. Many NetEase commenters are speculating about a possible death sentence, with some making vague and condescending threats in the event that comes to pass (more than one uses the term laozi, meaning I, your father – e.g. “If you dare to make a death sentence, laozi will follow your every move”). However, some other readers criticzed such talk. Update 3: NetEase trolls think they have cracked the case of the shot fired at the Chinese Consulate in LA before the suspect has even turned himself in. Based on the standard government-issued CNS report, which said witnesses had described the suspect as “of Asian descent”, very nearly every single comment said it was defeinitely the gaoli bangzi 高丽棒子, a derogatory term for Koreans. Update 4: The shooter has been caught, and the LAPD has announced that he is actually a Chinese-American. One of the most popular comments on this 80,000-strong discussion mused at why the Global Times had continued to mislead the Chinese public by reporting suggestions he was Korean for nearly a day after this information came to light.